After more than 20 years of handling complex and notorious cases, there’s nothing attorney Warren Freeman hasn’t seen or heard. He firmly believes in the due diligence for all of his clients, and he’ll work aggressively to fight for your rights. What sets Warren Freeman Attorney at Law apart is his experience and unflagging dedication to each and every case, no matter how big or small. Regardless of the details of your case, you’ll get the attention you deserve. At Warren Freeman Attorney at Law, we believe in accessibility and availability. Warren’s office is located next door to his home, just 8.5 miles from I-20 and the Oxford Exchange. 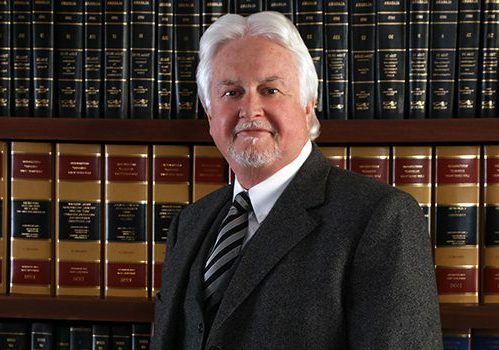 Warren Freeman Attorney at Law has over 20 years experience accepting — and winning — some of the toughest lawsuits in Calhoun County, Cleburne County, Clay County, Talladega County and Randolph County, and he’s rated as one of the top five criminal defense attorneys for murder cases in the area. Attorney Warren Freeman’s history of success in some of the most complicated and serious criminal defense and felony cases makes him an ideal choice when the stakes are high. In his free time, Warren Freeman enjoys spending time with his family, singing in his local gospel group, reading, and writing novels. His latest work of fiction, An Evil Wind, was released in 2013. It is the first installment in a series. For more, please visit warrenfreemanauthor.com.